The track, featuring Ne-Yo, didn't manage to dislodge Canadian singer Carly Rae Jepsen however, as her song Call Me Maybe stayed at the top of the charts for the fourth week running. We Are Young, by Fun and Janelle Monae, stayed at number three, while Can't Say No, by Conor Maynard, moved down two places to number four, the Official UK Charts Company said. Jessie J stayed put at number five with Laserlight, featuring David Guetta. There was only one other new entry in the top 40 - a re-entry for Welsh band Stereophonics with their single Dakota, which entered the charts at number 29. The song, originally released in 2005, was performed on BBC One talent show The Voice last week by two of the budding performers. Jack White, formerly of The White Stripes, stormed into number one in the album chart with Blunderbuss, his first solo album. Adele's 21, the biggest-selling record of last year, slipped into the number two position. There was another new entry at number five for Rufus Wainwright's new album Out of the Game, while Lana Del Rey's Born to Die rose one position to number three. Pink Friday - Roman Reloaded by Nicki Minaj fell one place to number four. The album chart saw new entries for Feeder at number 13, with Generation Freakshow, Chieftains with Voice of Ages at number 25, and also Santigold, who entered the charts at number 33 with Master of my Make-believe. Mirroring their success in the singles chart, Stereophonics' album Best of - Decade in the Sun, rose from 66 to 32. 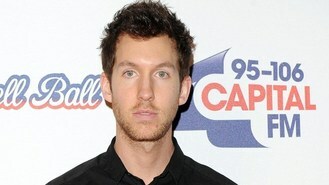 Call Me Maybe is now the seventh best-selling single of the year so far, having notched up sales of 434,000 records. Jepson, a Canadian Idol contestant, was relatively unknown before hitting the top spot in the charts. Other songs featured on The Voice also make an appearance in the top 40, with Kings of Leon's Use Somebody climbing 25 places to number 35, and U2's With or Without You rocketing 71 places to number 43.